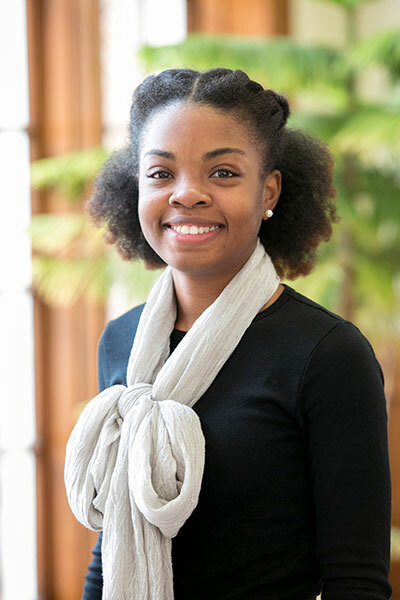 Ashaunte T. Gaillard, a native of Mobile, Alabama, serves as program assistant for Cumberland School of Law's Community Mediation Center and Public Interest Program. Gaillard holds a Bachelor of Science in secondary education and English from the University of South Alabama and a Master of Arts in communications management from the University of Alabama at Birmingham. Prior to joining Cumberland, Gaillard was a high school English teacher in Mobile. Gaillard enjoys running, reading nonfiction narratives, and exploring new restaurants in the area in her spare time.